In order for any state or city to do anything to decrease the possibility that its citizens will get into car accidents, they have to first be able to see what is causing the accidents. Like most cities, Salt Lake City tracks and then interprets data to learn which Salt Lake City car accident common causes are most frequent. They then try to take steps to reduce those numbers. Sometimes this means changing or adding laws. Other times it means simply raising awareness. The key thing to remember is that there is always going to be a leading cause, but it is still possible to reduce the frequency for all causes overall. A preliminary report published by the National Highway Traffic Safety Administration indicates that there were 35,200 fatalities caused by car accidents nationally in 2015. Of those 35,200 fatalities, 276 were in Utah. Although there isn’t information available for Salt Lake City in 2015 yet, the data for 2014 shows that there were seventeen fatalities caused by car accidents. On the national level, state level, and even the city level, the number of fatalities caused by car accidents is increasing, but the number of safety features in vehicles is also increasing, which could mean that it’s time to take a real look at driver error. In Utah, the most common cause of a car accident involving a fatality is speeding, which is a serious indication that we could reduce the number of fatalities in this state simply by slowing down. Because these numbers are increasing instead of decreasing, those who travel in Utah can expect law enforcement to start cracking down on people for going over the speed limit. Another car accident cause on the rise is distracted driving. A lot of people take their driving skills for granted. This is especially true when they are in areas that they frequently travel in. They joke about the car finding its own way home, but it isn’t funny when that car is involved in an accident that causes serious injuries or death. One of the most commonly found distractions in a car is a cell phone. Even after all the warnings, changes in laws, and other efforts, people are still focusing more on their cell phones than they are on the road. It can’t be said enough that there is no text or phone call that can’t wait until a person pulls over or is finished driving. Besides texting and driving, there are other distractions, like children and pets in the car, which can lead to serious car accidents. Remember that safety is your number one priority. You are also putting your children at risk when you focus on talking to them or texting on a cell phone instead of driving. As you can see, many, if not most, of the Salt Lake City car accident common causes are completely avoidable. When you are in an accident and suffer injuries due to someone else’s negligence, the situation can become even more stressful and overwhelming than the injuries themselves. It’s important that you have a legal team on your side to help you get through it all and move forward in the best way possible. In order to reduce the number of deaths due to car accidents in Utah, people only need to drive at a reasonable speed and focus on their driving more than they focus on anything else. Salt Lake City car accident common causes can change if our habits do. However, not everyone takes driving as seriously as it should be taken, and when negligent drivers cause injury or death, they should be held responsible for their actions. 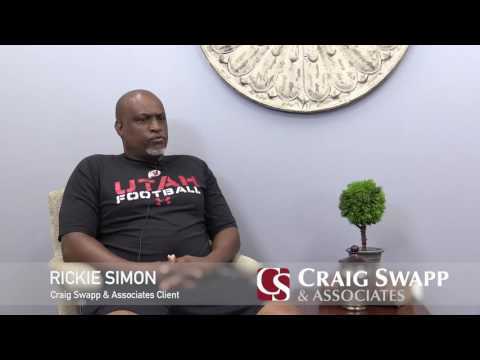 If you or a loved one has been in a car accident, the lawyers at Craig Swapp and Associates can help. Contact our office online immediately or call (800) 404-9000 for a free consultation.